Please attribute to Detective Senior Sergeant Lloyd Schmid, Auckland City Crime Squad. 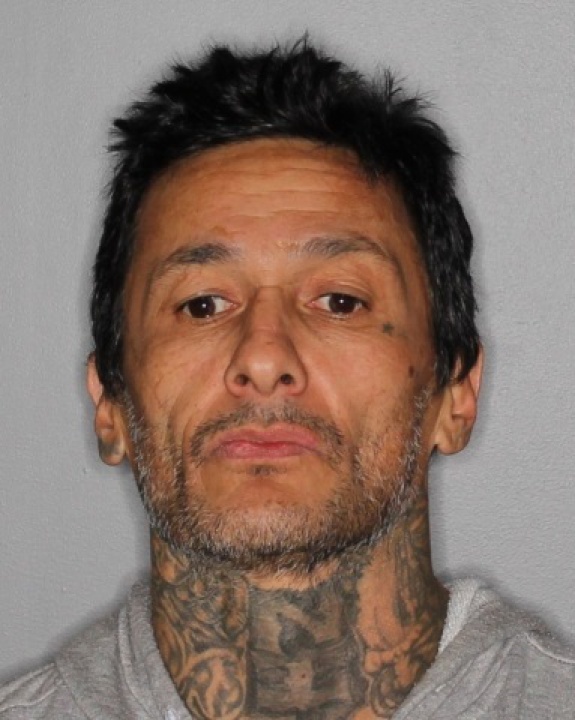 Police are appealing for the public’s help to locate 48-year-old Darcy Hayes who escaped custody from the Auckland District Court yesterday. Hayes was in Police custody when he escaped from the central city at approximately 1.10pm on Tuesday 7 August, 2018. Hayes has links in the Auckland area, and is known to frequent the Bay of Plenty and may have links in the Upper South Island too. Hayes is a patched gang member and has an extensive history of serious offending. Police are asking the public to report any sightings or information to us immediately. Police remind anyone who is found to aid or assist a wanted offender to evade Police, that is a criminal offence and they will be held to account. Hayes is described as being 177cm tall and of medium to slim build. He has two large tattoos of skulls on the front of his neck and a glove tattooed on the back of his left hand. He was last seen wearing grey slim-fitting pants and a blue long sleeve hooded jacket with a white zip up the front and white zip pockets. Hayes is considered dangerous and should not be approached. If you see him please call 111 immediately. If you have any information that could help our investigation, please contact the Auckland City Crime Squad on (09) 302 6557.